Since 1989 we follow this motto in all facets of our work. We are SAP consultants with a strong focus on implementation tasks – approaching every project with a hands-on attitude since the first days and in future. We are well-trained software engineers with a clear coding philosophy for developing modern applications. With our solutions, you will achieve tangible added value in digital business process management. Our courses are designed to sustainably align you and your team to existing and future tasks in the SAP environment. We provide specific answers to your questions. We not only give advice, but also implement our proposed solutions. We deliver apps that make your everyday work with SAP and other platforms easier. We expand your SAP horizon by using practice-oriented teaching methods. 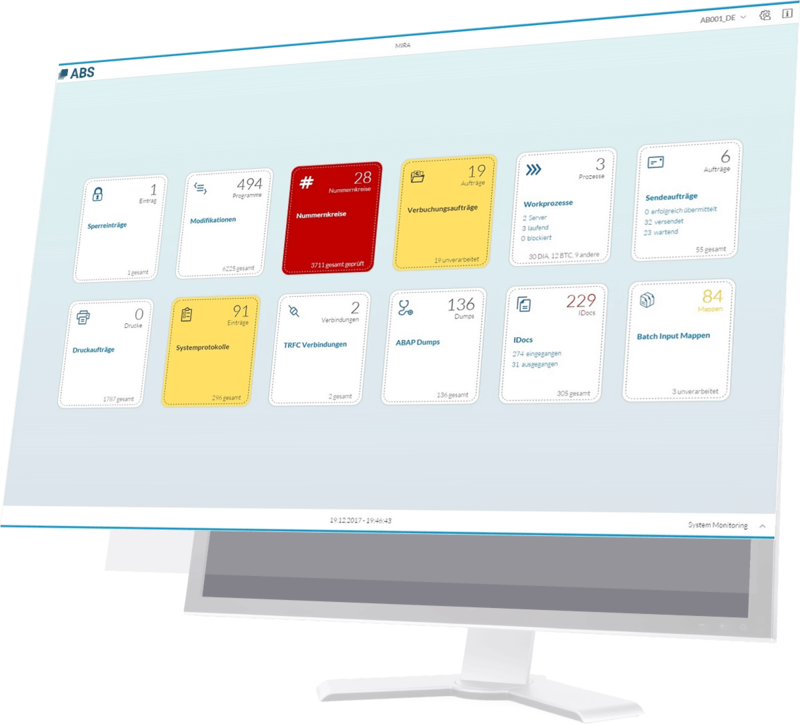 Are you looking for a SAP monitoring solution that can be installed without an extensive implementation project and that supports your business in all of your SAP systems, modules and interface programs? Then take a closer look at our application. We are convinced that the combination of these three qualities always leads to excellent work results. That’s why we attach great importance to our team uniting these qualities. ABS has been advising us for many years on process redesign and SAP deployment activities in various locations in Europe. It is outstanding to me that employees of ABS always react very flexible to new situations. This generates trust which is regularly supported by the joint achievement of our project goals. For many years ABS has been supporting us in our worldwide rollouts, day-to-day challenges and a wide range of development tasks. The short reaction times and the setting of the right priorities in pivotal moments give us the certainty of working together with the ideal partner. Room rental in the ABS headquarters. ABS has lots of work to do and we want to deliver results on time. Motivated graduates, experienced SAP consultants and well-trained software developers will find a job at our company.